I send this link to clients more often than any other link. I think this write up is brilliant and dead on. IF you can answer all these questions, your business has a GREAT chance of success. 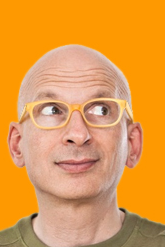 THANK YOU Seth Godin for publishing. The truth section describes the world as it is. Footnote if you want to, but tell me about the market you are entering, the needs that already exist, the competitors in your space, technology standards, the way others have succeeded and failed in the past. The more specific the better. The more ground knowledge the better. The more visceral the stories, the better. The point of this section is to be sure that you’re clear about the way you see the world, and that you and I agree on your assumptions. This section isn’t partisan, it takes no positions, it just states how things are. The assertions section is your chance to describe how you’re going to change things. We will do X, and then Y will happen. We will build Z with this much money in this much time. We will present Q to the market and the market will respond by taking this action. This is the heart of the modern business plan. The only reason to launch a project is to change something, and I want to know what you’re going to do and what impact it’s going to have. Of course, this section will be incorrect. You will make assertions that won’t pan out. You’ll miss budgets and deadlines and sales. So the alternatives section tells me what you’ll do if that happens. How much flexibility does your product or team have? If your assertions don’t pan out, is it over? The people section rightly highlights the key element… who is on your team, who is going to join your team. ‘Who’ doesn’t mean their resume, who means their attitudes and abilities and track record in shipping. Your local VC might not like this format, but I’m betting it will help your team think through the hard issues more clearly.